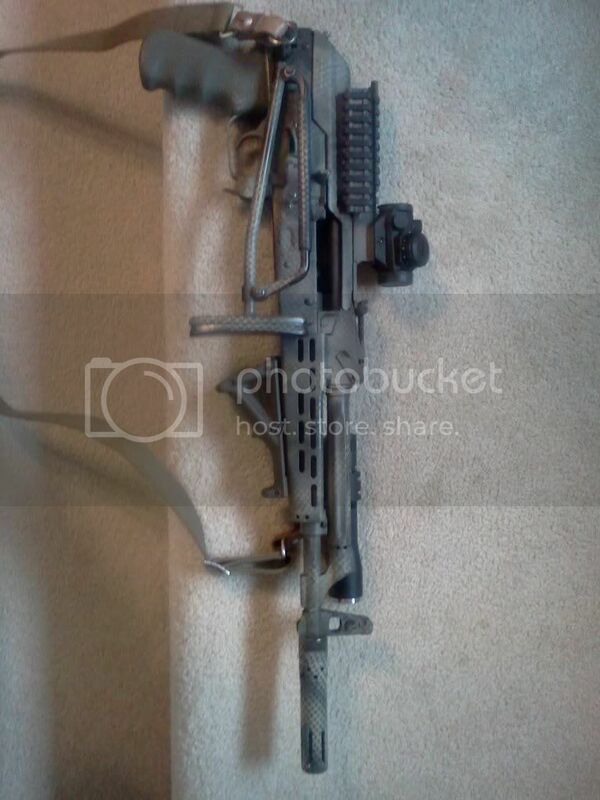 Is that the Tapco brake? If so, your opinion? Is it sturdy, and does it function as the Hungarian brake with extension does? Nope, that's the stock brake. 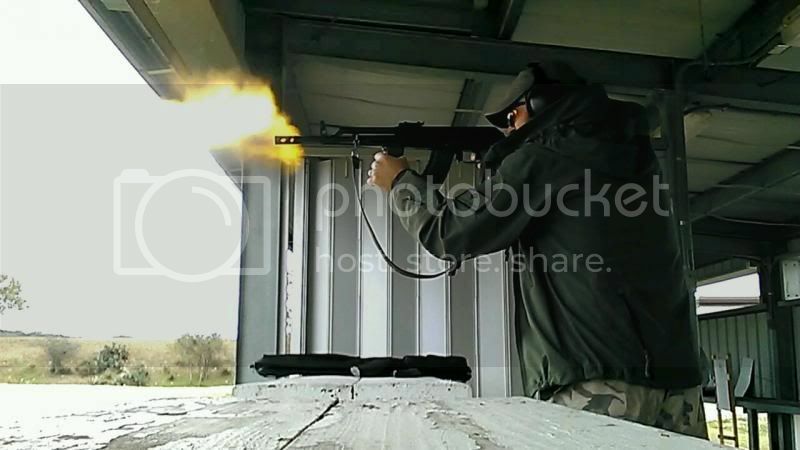 AMD SBR.....using FEG KBI receiver from the 90's. Beautiful! A work of f###Ing art. TGI import. FEG receiver, original barrel. Last edited by 42tula; 11-21-2013 at 01:11 PM. TH, that paint job looks excellent. Nice work. I'm really diggin' the rifle aside from the dust cover optics. Я люблю котов! У меня нет кота, но они очаровательны. Я люблю разговаривать с людьми в парке о своих домашних кошках. Кошки могут быть настолько привередливыми! Вы когда-нибудь задумывались что кошки думают? Много приветствий! Адам. Thanks. I am also really digging it other than the dust cover optics. 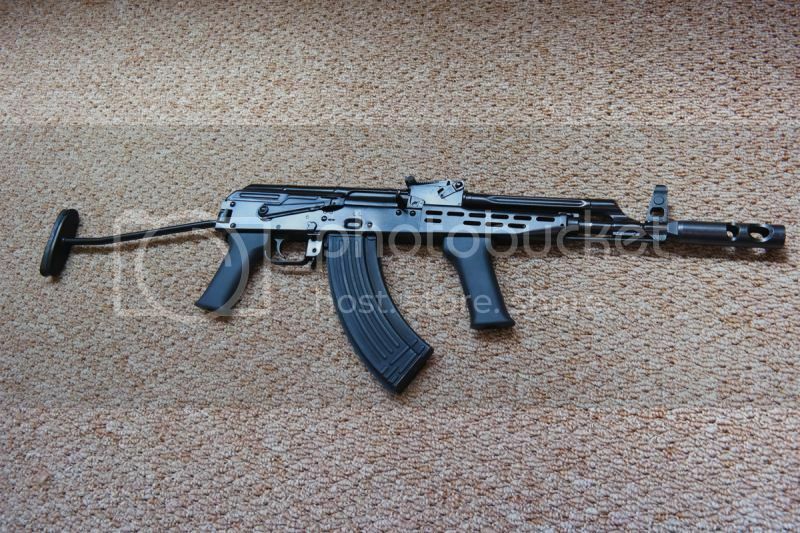 Wow that is one of the best looking tacticool AKs i have ever seen. Is that a krebs amd65 adapter? Thank you very much, Joe. 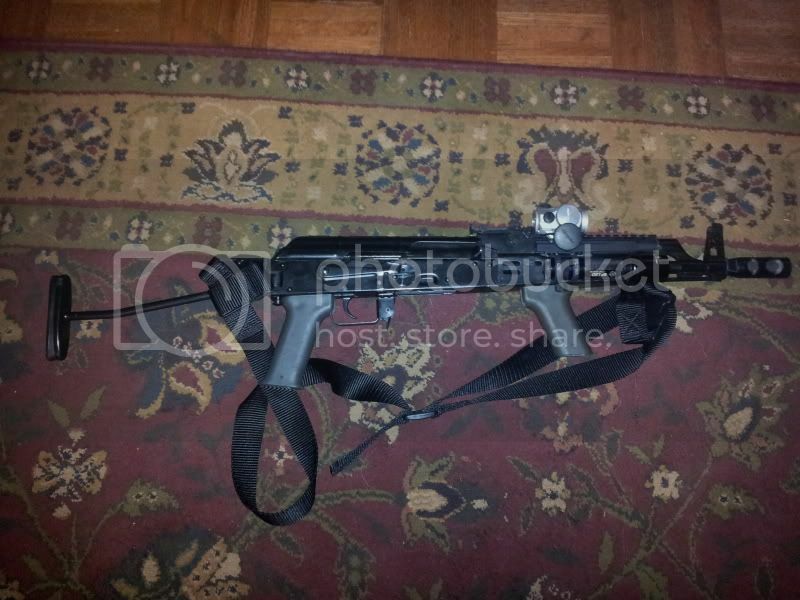 The adapter for a Bumpski, but works just fine with your typical stocks and folding mechanisms. I would have never heard of it were it not for this thread. The folding mechanism is from Stormwerkz (which I find to be far better than the Ace equivalent). 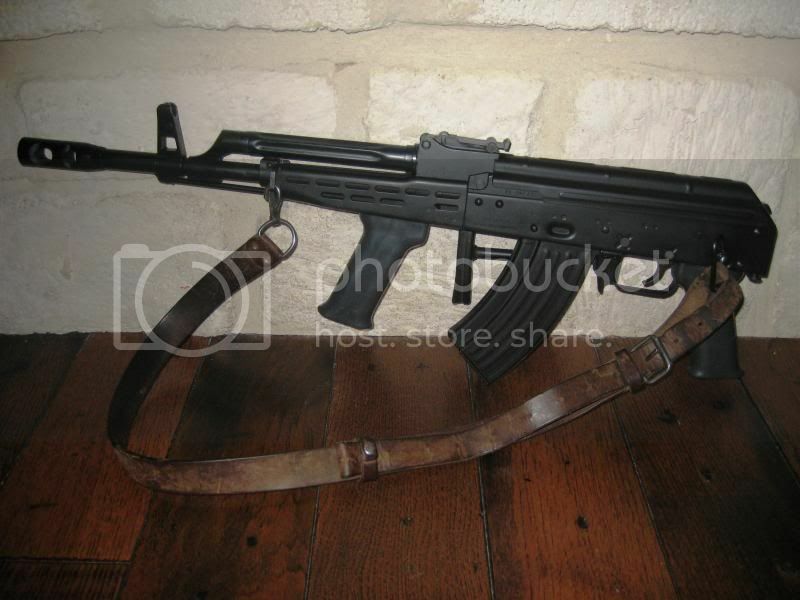 The rifle also has a Tantal brake that was opened up (by Superbee for free because he is awesome) for the 7.62 caliber. The adapter will not fold, but it accepts folding mechanisms, so it's not a big deal. Cool...i didnt even know this was available. Damn i want another amd. That link doesnt work though. 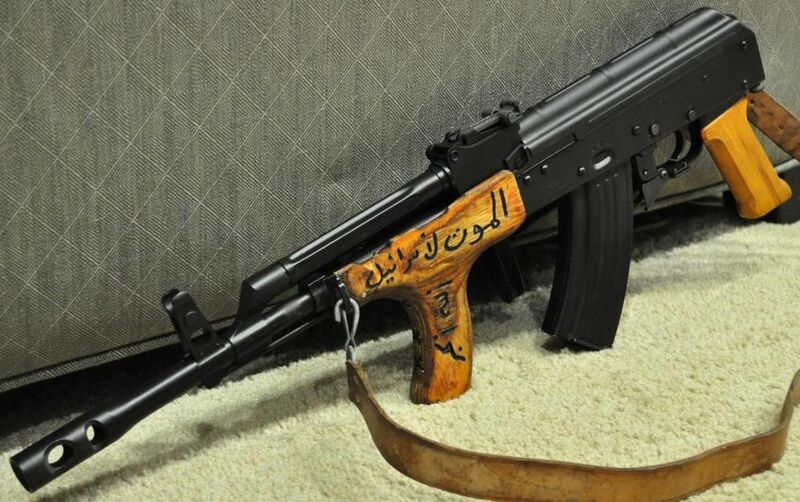 That is definitely an awesome AK. Well done. 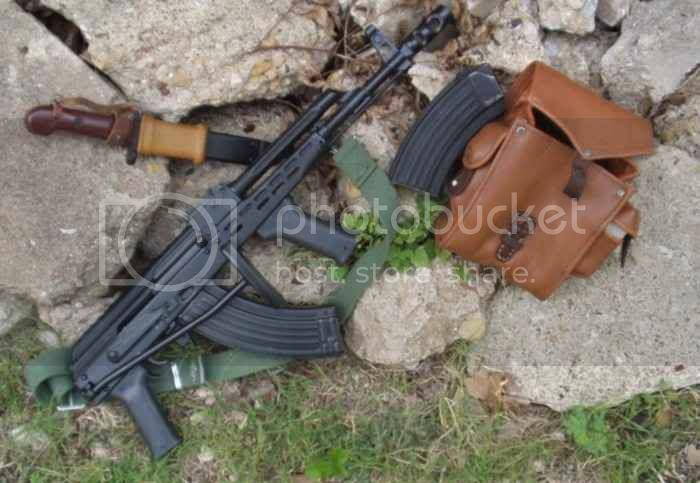 I don't think I have ever seen a "tacticool" AK that I liked. That one is amazing. This is one I had made in the late 90's from a pre-ban SA-85. Alas, I no longer have it. I do love the fire-breathing nature of the AMD! Build one. There's a kit in the MP for $430 shipped with original barrel. Add $100 for receiver and you're done. I'm in NE Ohio, I'll help you build it. How's the grouping with the brake bored? With over 8 years in the contractor world over in A-stan...there is a reason everyone runs AK's. I know this is old thread but finally got my amd 65 99% finished. Just want to add the stormwerkz hinge, krebs safety and some surplus mag. Last edited by imDementeD; 05-13-2014 at 02:11 PM. updated pic with details. Thanks! Last summer's project. 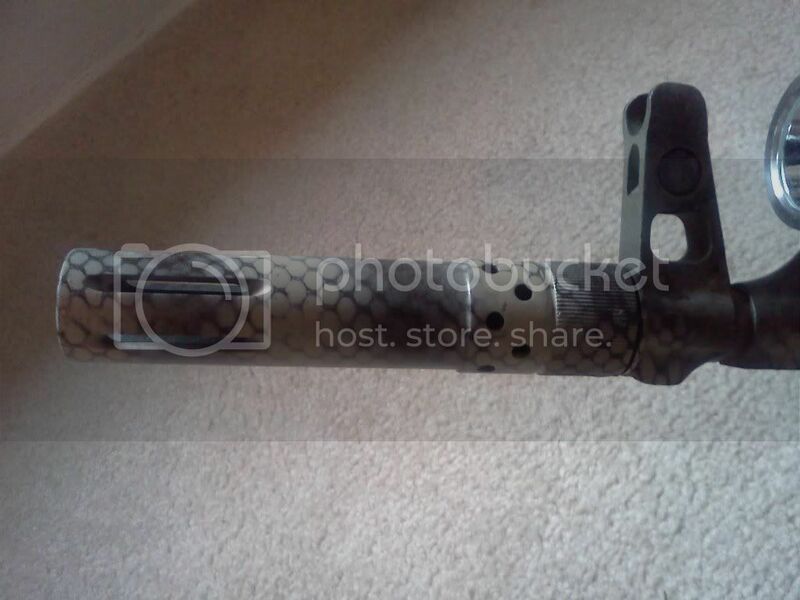 GunKoted this in OD green and added EG upper handguard and pistol grips for my wife. Her favorite rifle until I recently bought a Vz. Now it's her second favorite. No loyalty towards her ethnic roots (Hungarian). So is this the adapter piece from bumpski? Edit, SORRY I didn't see the above link. I am an idiot. This is the only one I have seen like this. Pretty cool! Posting a thread doesnt mean you own it btw, nor does it give you the right to play internet batman. Instead of casting accusations you could pm him, albeit his rifles legality is none of your concern. Rhode version as they were used there and I have seen pics of them in Rhode camo. 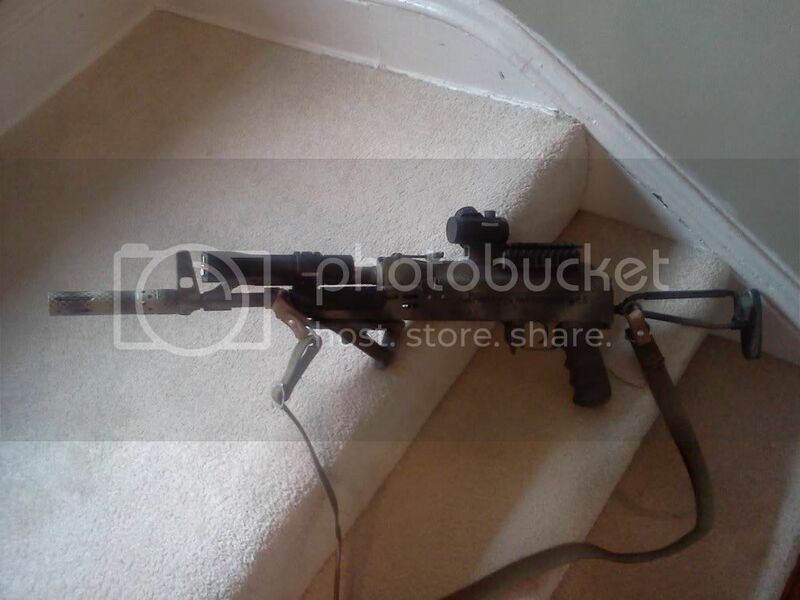 Looks like a third world gun for sure! Here's my TGI AMD. AK-Builder.com break, Ronin solid grips. Love this rifle.